I was happy with my life. And who wouldn’t be? Beautiful women, money, a job that I could sleep through and still make bank. But I was bored. And I never could walk away from a challenge. This challenge turned out to be brunette. Feisty. Just the way I like them. But innocent. Too innocent for me. Too innocent to do anything other than sample and then toss back. Anything more would be too risky, too much work. I was unprepared for Julia Campbell. I should have done my homework, should have looked before diving into unfamiliar waters. Ditching her proved to be problematic, my sexual needs greater than my common sense. She was different. She became more than a challenge. She may just bring my world crashing down. This novella is meant to complement, and be read after, Blindfolded Innocence, a #1 Erotica Bestseller. 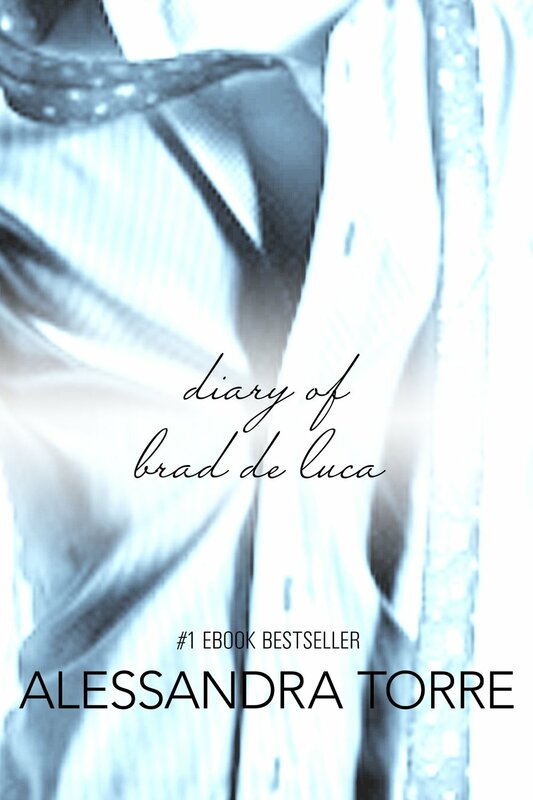 THE DIARY of BRAD DE LUCA is a novella that gives the reader an insight into Mr. De Luca’s head from certain scenes in Blindfolded Innocence. Gaining this knowledge about Mr. De Luca’s thought process helped me understand his attraction to Julia and why it went beyond just her appearance. Thank you, SueBee, for sharing this gem with me.